Quid POS Smart Vendor is a cloud-based point of sale system which provides users with the ability to exchange goods and services for any currency using smart devices. Supporting price discovery, transaction processing and inventory management, plus sales reporting and payment options, Quid POS Smart Vendor aims to deliver a comprehensive POS solution. Synchronized Android and Web apps give users the flexibility to access features from mobile devices, as well as computers. Was able to recommend this to clients as a professional but cost-effective solution.The interface is clearly signposted and easy for merchants to use who may not be very technical, and the product works very well indeed, doing exactly what is says. Additionally, it's one of very few solutions which allows vendors to accept cryptocurrencies as well as fiat currencies. The simple interface makes it suitable for parts of the world where there may be limited internet connectivity, lowering the barrier to participating in the digital payments economy for merchants who have low-volume businesses. Yet it is equally suitable for large-scale enterprises. The added support chat feature is really helpful. I'd regard it as my go-to solution for client websites with e-commerce needs, as it is comprehensive and user-friendly. The additional option for a free shop subdomain is a brilliant idea. The interface is clearly signposted and easy for merchants to use who may not be very technical, and the product works very well indeed, doing exactly what is says. Additionally, it's one of very few solutions which allows vendors to accept cryptocurrencies as well as fiat currencies. The simple interface makes it suitable for parts of the world where there may be limited internet connectivity, lowering the barrier to participating in the digital payments economy for merchants who have low-volume businesses. Yet it is equally suitable for large-scale enterprises. The added support chat feature is really helpful. I'd regard it as my go-to solution for client websites with e-commerce needs, as it is comprehensive and user-friendly. The additional option for a free shop subdomain is a brilliant idea. It's difficult to think of negatives. I can think of some additional 'nice to haves' like plugins for existing ecommerce sites like WordPress to make integration easier where merchants already have an online presence, but overall it gets a big thumbs-up! Best POS I ever used! Fully featured , multiple currencies, category inventory control and more. -Initial setup might seem confusing -External integration might be an issue if you run mid-large size businesses. Premium: $12 per month, billed monthly. $9 per month, billed annually. Enterprise: $39 per month, billed monthly. $33 per month, billed annually. Merchants can customize settings for their business to process preferred payment methods, manage inventory, and track sales and profits. Gain actionable insight with weekly and daily sales reports. Designed for any business to manage transactions conveniently in multiple international currencies. Allows users to send digital receipts via text or email. Cloud synced Android & Web app allows for business on the go. Below are some frequently asked questions for Quid POS Smart Vendor. Q. What type of pricing plans does Quid POS Smart Vendor offer? Q. Who are the typical users of Quid POS Smart Vendor? Q. What languages does Quid POS Smart Vendor support? Q. Does Quid POS Smart Vendor support mobile devices? Q. Does Quid POS Smart Vendor offer an API? No, Quid POS Smart Vendor does not have an API available. Q. 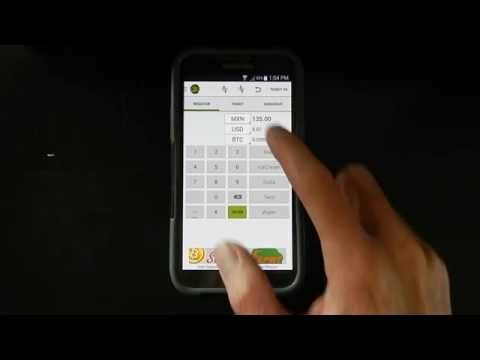 What other apps does Quid POS Smart Vendor integrate with? Q. What level of support does Quid POS Smart Vendor offer?